Marc is considered by many to be one of the most analytical thinkers on the subjects of violence and personal safety. He has taught police, military, martial artists and civilians around the world. He has studied Karate, Wing Chun, Baqua/Hsing-I, Five Family Gung fu, Boxing, Western swordsmanship, Kali and various forms of Pentjak Silat. When it comes to street survival and professional use of force he teaches No Nonsense Self-Defense. 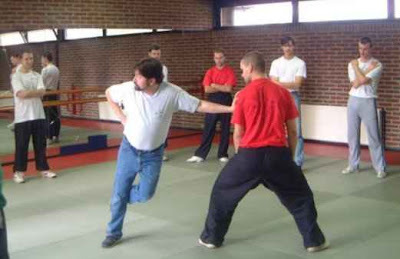 A combination of formal martial arts techniques and principles and his real life experience, supported by research into the areas of psychology, criminology, sociology and legal use of force. Patrick Parker: Thank you, Marc, for agreeing to do this interview with me. I know you stay busy teaching and doing seminars. 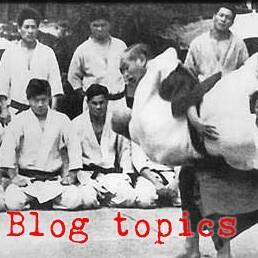 Do you do seminars mostly for karate folks or do you teach a lot of diverse practitioners? Marc MacYoung: I do a lot of cross style work, but I prefer working with one style at a time. Kempo does things differently than Tae Kwon Do, Goju does things differently Shotokan. Wing Chun does things differently than Silat. And they all move differently than Aikido. Getting all of those styles in the room at the same time gives me a headache. That's why I prefer walking into a school that does one style and we look at their physics together. Patrick: I see from your website that you consider yourself a martial analyst instead of a martial artist. Without giving away the cow, what sort of problems do you see the most when you do martial analysis seminars? One way to describe the first problem is most of what people know are not knowledge or facts, but advertising. Why do people believe that Mixed Martial Arts are the ultimate fighting style? Because a lot of marketing, spin-doctoring and propaganda has gone into promoting that idea. I remember one guy who argued that eye gouges AREN'T effective in street fights because they aren't allowed in the UFC. That's not knowledge, that's drinking the Kool-Aid. They either have been told something that is totally outrageous or they've invented their own little explanations. That kid with the 'eye gouges don't work in a street fight' had been fed a lot of propaganda before he came up with his own contribution. understand how to apply the same MULTI-LEVEL series of moves under a wide variety of circumstances. I probably need to clarify that last statement. When I'm demonstrating a technique at a seminars I tell someone to attack me. They usually ask 'How?" My answer is "I don't care." Then, do the technique. Then I tell them to attack me again but differently. Then I do the same technique and it works again. I've gone up to five different attacks using the exact same technique. This is why I say: You don't need 5000 techniques, you need to understand how to apply a few effective moves that can handle up to 5000 different problems. These first two problems make the third exponentially worse. The third problem is that the techinque doesn't do the job for you. A technique is a way to manifest principles. If the component parts are there and executed in the correct sequence, the physics and principles WILL be there. But this takes a lot of work to make sure the are there. Unfortunately too many people believe that by just sticking their arms out there and wagging them around the technique will -- presto chango -- get it done. No. YOU have to make those principles manifest to acheive your goal. It's not just going to happen because you do the technique. The technique is a vehicle. You have to get in and drive it. So a lot of what I do at these seminars is before we start with the driving lessons we 'inspect the car.' A lot of the time I find folks that have the body, the tires and the interior, but when I pop the hood, there's no engine or transmission. "Uh I think I found the problem with why this technique isn't working." So while it would be cool to say I teach people how to be race car drivers of their styles, I spend a lot more time being a martial arts mechanic. For those people who do have systems that run, then I spend the time saying "Hey did you know you could do this with that?" "KEWWWWL!" Patrick: Besides just spending lots of years in the arts and experiencing conflicts, was there some process or way of thinking that let you come to these revolutionary ideas? Marc: A friend of mine once summed it up by saying the talents that I posess are not, in themselves, unique. There are lots of different people who also have these talents -- in fact, there are people who are better at those individual talents than me. What IS unique about me is that these talents come together in one person. There are a lot of fighters out there who are really good -- but they can't tell you what they do or how they do it. There are a lot of people out there who are experienced with violence who can walk into a situation, 'read it' like a memo and come with the best strategy -- but they can't tell you HOW they perform this Kentucky windage. There are a lot of artists out there who can notice small details and draw them -- but they can communicate those details except through art. There are a lot of analytical thinkers out there who can reduce complex issues to component parts -- but they aren't fighters or experienced with violence. There are a lot of great communicators and teachers out there -- but unless what they are teaching is functional then it really isn't useful. I have all these talents and they combine to make a skill. To make a long story short, this skill was developed because when I was young and coming up, I'd ask the old timers 'How'd you know?' The answer of "I dunno, I just knew" really frustrated me. Years later, I heard myself saying the same thing to a young kid who'd asked me 'How'd you know?' When I gave him the same answer, a bell went off in my head that said "NO! That was an unacceptable answer when it was told to me and it's unacceptable now that I'm using it!" The difference was now I able to 'see' what those old timers had seen in order to calcuate Kentucky windage. And if I could see it, I could explain it. I then dedicated myself to making that into a skill. The simple fact is I've never mastered a martial art or 'invented' anything about violence, crime or human conflict behavior -- all I've done is tried to report what is out there. And do it in a way that people can easily understand it and apply it out in the field. I can't teach people to do stuff the way I do it. But I can identify the elements I use and give you the tools to develop your own ability. The ability is to wet your thumb, judge the wind and adjust your shot to Git R Done is Kentucky windage. That's what I'm trying to teach people. Patrick: I love the idea behind Dango Jiro (your name for what you do). You describe it as a Mulligan Stew, but down here in Mississippi we'd probably call it something like gumbo-jitsu. On your website you call it a training system instead of a martial art. Sounds like you intend it as a way that someone could practice any martial art. Is that what you're getting at on your website and in the previous question about the three generalized problems? Marc: This goes back to the previous question about 'how do I do what I do.' It's the ability to analyze what is going on and come up with a working strategy for THAT particular situation. It starts small and just gets bigger and bigger, but it's basically the same question at every level. I'm not just talking about some of the absurd explanations for moves that someone made up to cover their ignorance.There's enough of that out there as is. What I'm talking about is where the 'power train' of a technique breaks down. (Think of the power train in your car). Now a lot of people try to blame the student by saying he or she is 'doing it wrong.' But after watching for a while I realized, 'noooo... the student is doing exactly what you are teaching. But what you are teaching ISN'T what you are doing.' Often some little tweak or movement that would continue the power train has been lost from the technique. The reason the teacher or senior students can make it work is they've found some kind of 'patch' to make the technique still work against an inferior opponent. That doesn't fix the problem though. I just leaves the students to find their own 'patch.' And until that time the technique won't work. Instead of trying to patch the techniques this way, I help people fix the broken power train of a technique. And it's often as simple as '"Okay, when he's in this position, twist this." Thing is, these little twists and tweaks were originally in the technique, but they've been lost. On a bigger level, the same question is asked. "What level of threat are you facing?" "What is the appropriate level of force you need to use?" etc., etc.. What I am doing with Dango Jiro is showing people how to assess these issues and come up with workable solutions on the spot. Patrick: What do you figure is the best way to start kids in the martial arts so that you don't have to un-teach or re-teach so much later on? Marc: Start them not with the basics, but the fundamentals. There IS a difference even though most people -- and I especially mean teachers -- don't make the distinction. I went to my unabridged dictionary and found that a basic is a simplified introduction to a subject. A fundamental is a foundation that a system is built upon. Since I have a construction background, I liken 'basic' to the front door you enter a building through, a foundation is what makes that building stable. Incidentally, this why you can run into a wall when you tell a brown belt to 'go back to the basics.' You mean return to the fundamentals. He just heard you say 'Go back to kindergarten.' Whether he hears 'retard' depends on how much ego he or she has in her rank. For example in most schools in your first lesson you will be taught a punch as a 'basic.' The first thing we teach kids is how to control moving their weight from one foot to the other. Controlling your body's momentum is a fundamental of everything you do in the martial arts. One that leads to power, balance, structure, speed and effectiveness. In short, that's the engine in your car. And that's the first thing we teach the kids. (And that's why the little boogies can hit so damned hard. I routinely get thumped by them and their boney little knuckles). On the other hand, when I walk into schools that teach the punch as a basic, I see a LOT of bad habits.I'll watch 50 people doing the same kata and the only thing they have in common is the end pose of each move. How they get into that pose is wildly different for each of them. And most of what I'm seeing isn't effective because they were never taught the fundamentals of movement. Patrick: I ask most everyone I interview... What do you make of the apparent decline of traditional martial arts (take aikido for example) and the apparent explosion in interest in UFC/MMA? Where are these arts going to be in the next few years? Marc: I'm going to tell you what I tell people about journalism getting slapped around by bloggers. When the media stopped reporting the news and started both making it and commenting on it, they left themselves wide open to being eclipsed by bloggers. When martial arts began to lower their standards and water down what they were doing to keep students and make money, they left themselves open to being steam rollered by MMA hype. When what you're teaching isn't how to move effectively but that you're student just sticks his or her hand out there and wiggles it around, then YES, it IS going to fail. And that gives the MMA and the Reality Based Self-Defense Kool-Aid drinkers lots of legitimate ammo to criticize the martial arts. It isn't that the testosterone driven "Hey Diddle Diddle Straight Up The Middle" strategy of MMA/RBSD is really all that effective, it's just that so many martial arts have forgotten how to handle it. A whole lot of what I do is help people put back into their martial arts the things that can counter the bulls rush charge these guys are claiming is the ultimate fighting strategy. It's not. But full contact fighters in North America forgot how to handle grapplers and that is why the Gracies ruled the UFC until people started studying what they were doing. And realistically Martial Artists should be thanking the MMA because as obnoxious as many of them are, they're a stark reminder that martial art system better be able to handle a straight in bull charge. That's not the ultimate strategy for attacking someone, but it is pretty much how someone is going to come at you in a parking lot after a fender bender. Patrick: Boy, That's a lot of great info, Marc! You are exactly right on so many fronts, and I know we could go on with these topics forever. You have given my readers and me a ton of material to think about. I know I appreciate it and I know they will too! Interested in more info about Marc MacYoung, his research and teachings, or the numerous books that he has published? 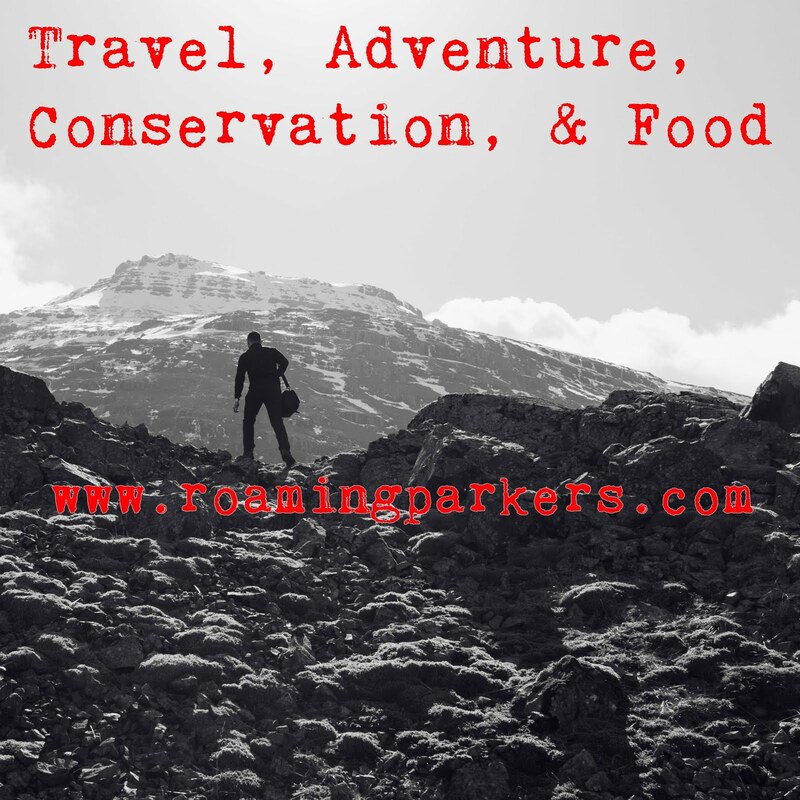 Check out his awesome and extensive website! Another home run! Good job. Thanks, Wim, glad you liked that interview. I saw a caption on that pic on Marc's site and figured that was your bunch. I don't know if I want to thank you or beat you with a stick. I'm a noobie to this blogging thing and you just keep raising the high bar. What's a cartoonist supposed to do to keep up!!! Good Job. I believe and think similarly to this fellow. Great interview Pat. He's got a pretty cool p.o.v. and his website is interesting too. 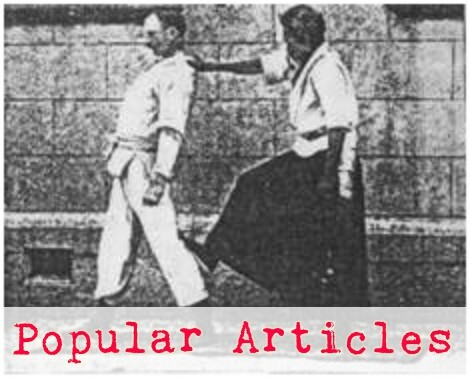 I especially like the post he did about Are Martial Arts Self-Defense? Everyone should give it a look if they haven't yet. This guy is a real McCoy! By his answers, i know this guy is for real and probably a great teacher and practitioner. Great article!